Established in 1997, Main Street Massage Therapy, LLC opened on Main Street in beautiful downtown Flemington, NJ. Demand for our services grew over the years, and in 2006 the business expanded and relocated to Walter E. Foran Boulevard, just a two minute drive from Main Street. We are located directly behind the Route 31 Shammy Shine Car Wash in the two-story business condominium suites. Venture out to Flemington where you can spend the day with friends shopping at the well-known Flemington Outlet Center (Liberty Village), have lunch at one of the many fine eateries located throughout Flemington, and stop by for a relaxing or invigorating massage. The new, specially-designed ground-floor Spa facility is home to six (6) treatment rooms, relaxing lobby and ample parking. The perfect venue for bridal parties, get-togethers or Spa day treats, MSMT will make your visit memorable. You will experience soft lighting, calming music and heated tables as a background to your customized treatment. We do our very best to provide same day appointments. Additionally, we have evening and weekend hours. We know that many days are hurried with the responsibilities of spouse, children and their never-ending activities, employment, cleaning, cooking – the list goes on. Your time with us will not be rushed. This is your time to get out of the house, office, or car and enjoy a peaceful moment. This is your time to be with your own thoughts and unwind – your time to heal…your time to become grounded. I hope we can be part of this very important and necessary time. Please let your therapist know if you prefer conversation or a quiet session. 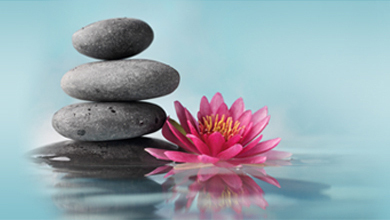 All therapists who do massage at MSMT are highly educated in the field of massage and are licensed to practice therapy. Our philosophy is to never give a routine massage or to ‘go through the motions’. We will customize each massage. Your therapist will discuss your needs before each session. There may be days you will need deep work to address specific discomfort you might be experiencing, or you may want to have more of a relaxing, de-stress massage. Whatever the reason for your massage, we will do our very best to bring you to a place of tranquility and comfort. Please view our services page and see what might be right for you. If you’re not sure, give a call and we will help you decide.